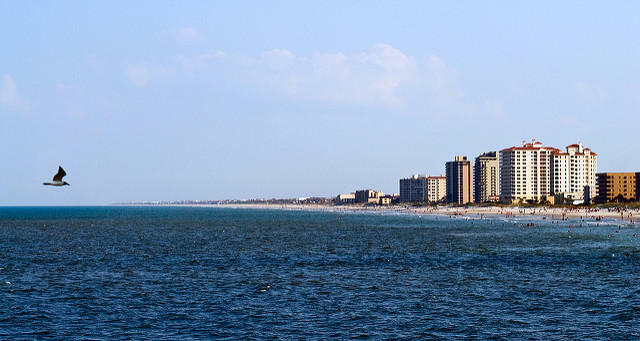 Several Florida coastal municipalities have passed resolutions against Atlantic Ocean seismic testing, but Jacksonville’s did not when it came before City Council in 2015. 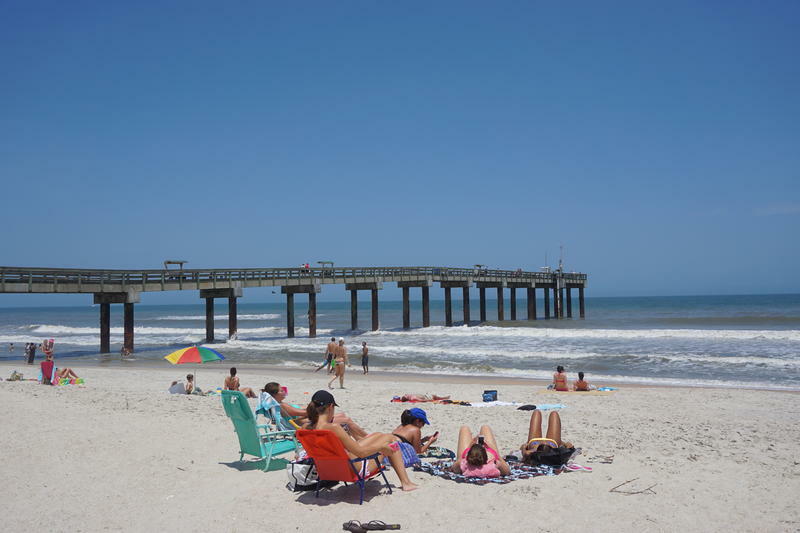 Photo: "Jacksonville Beach" used under Creative Commons. The federal government is considering 10 applications for offshore oil and gas exploration along the U.S. Eastern Seaboard. The Florida Department of Environmental Protection has asked to delay the permits for further impact studies. Neil Armingeon says just a few years ago, he didn’t know about seismic airgun testing, a standard method of mapping oil and gas deposits in deep sea beds. Today, though, it’s one of his top priorities. 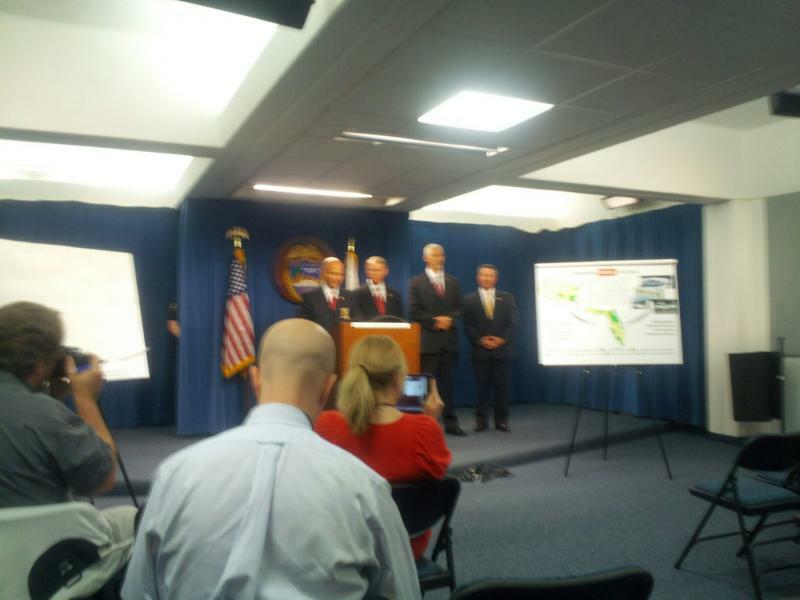 Jacksonville Sheriff John Rutherford says the arrests of Fraternal Order of Police President Nelson Cuba and Vice-President Robbie Freitas shows no one in his department is above the law. 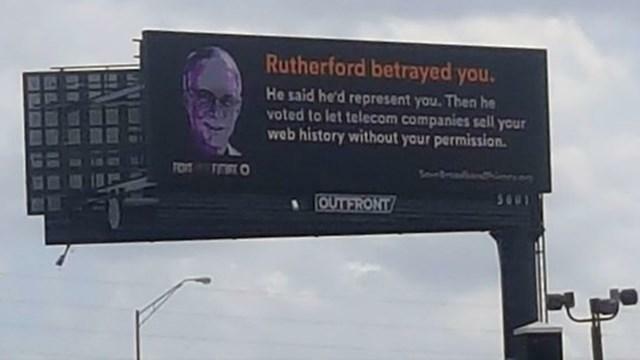 Rutherford told reporters on Wednesday about the two officers’ roles in the Allied Veterans of the World conspiracy. 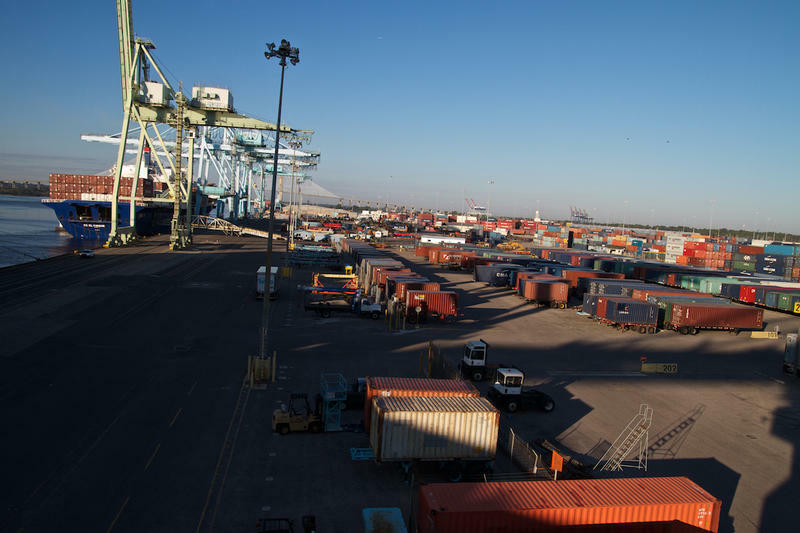 Law enforcement officials say Cuba and Freitas received more than 500-thousand dollars through a shell corporation during an 18-month period. 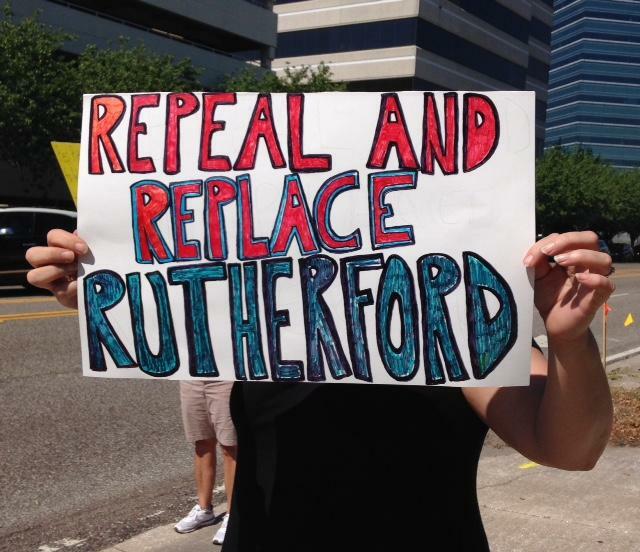 Demonstrators gathered outside a Jacksonville restaurant Tuesday to protest 4th District Congressman John Rutherford’s vote to repeal and replace the Affordable Care Act.